Ever since its discovery at the Tevatron collider in 1995, the top quark has been a major research target for particle physicists. Due to its unique properties, in particular its mass (it is by far the heaviest quark known to-date), it serves as an essential testing ground of the Standard Model (SM) of particle physics and plays a key role in the measurement of Higgs boson properties. Moreover, many BSM scenarios expect the top quark to couple to as yet undiscovered particles whose existence might be revealed through measurements of top quark production. The largest background for ttH are events where one of the hard radiated gluons splits into a b-quark pair. These processes are very difficult to calculate due to the rather high b-quark mass. 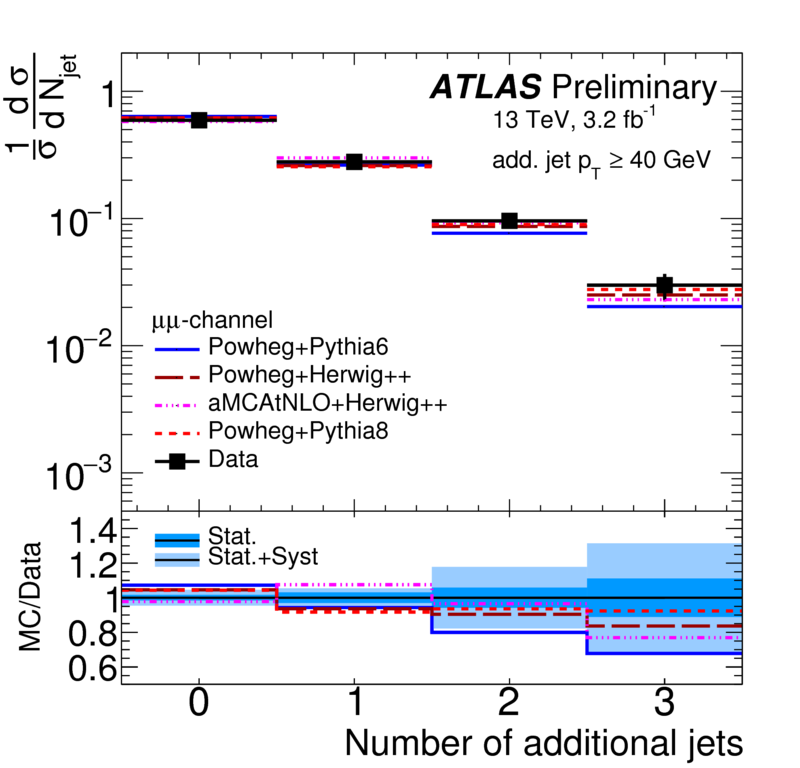 A direct measurement of this process is therefore important and the DESY ATLAS group performed it in the di-lepton decay channel using LHC Run 1 data  as shown in the figure. 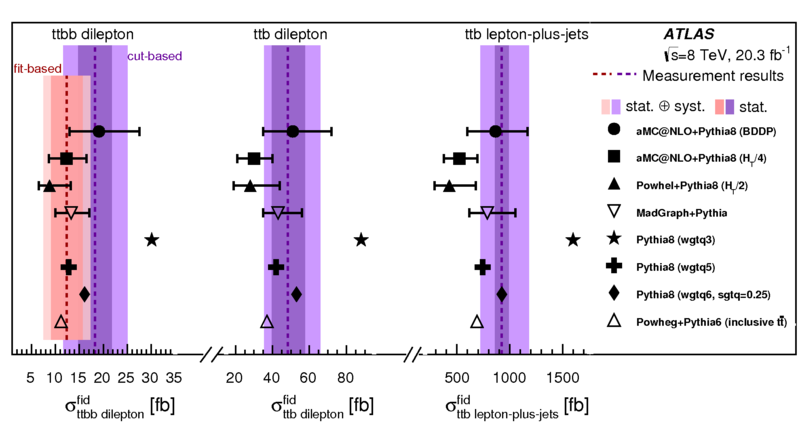 "Measurement of the top--anti-top production cross-section as a function of jet multiplicity and jet transverse momentum produced in 7 TeV proton--proton collisions with the ATLAS detector", ATLAS Collaboration, JHEP01(2015)020. 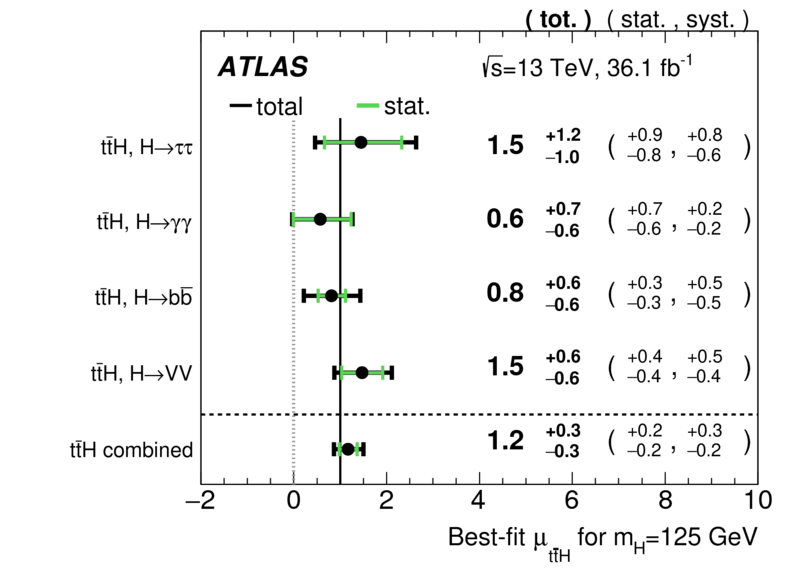 "Measurements of fiducial cross-sections for tt¯ production with one or two additional b-jets in pp collisions at s√=8 TeV using the ATLAS detector", ATLAS Collaboration, Eur. Phys. J. C (2016) 76:11.